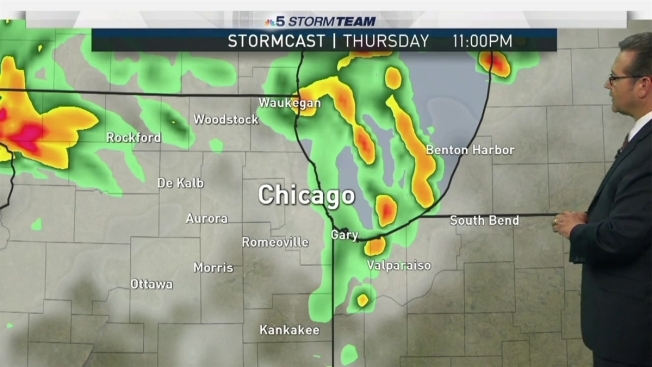 Andy Avalos is tracking another round of potentially severe storms in the Chicago area. 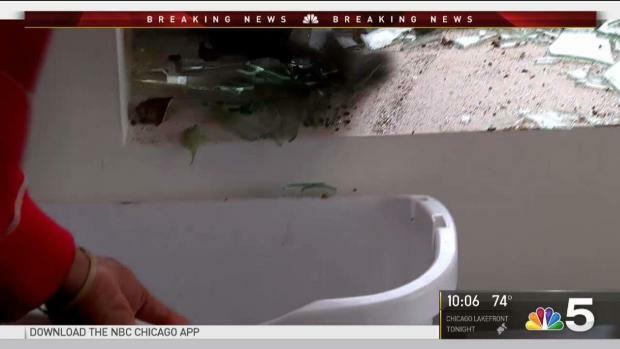 Less than 24 hours after severe weather tore through the Chicago area, bringing damage to some suburbs, another round of storms is expected late Thursday. The potentially widespread thunderstorms are expected to form during the evening hours, spreading across much of the area as the night continues. Some storms could become severe, bringing the threat of damaging winds, large hail, heavy rain and possibly even an isolated tornado. The storms are expected to end by midnight, with only isolated showers and storms lingering into the overnight hours. Temperatures Thursday will rise into the low- to mid-80s, but high humidity values will make it feel more like it's in the low-90s. The threat for severe weather continues Friday, but fewer storms are anticipated. Things look to dry up for the weekend with only a slight chance for showers each day. A tornado watch was issued for the Chicago area Wednesday evening. Natalie Martinez reports.